We’ve all heard the old maxim, “it’s easier to raise money from a donor you already have than from a donor you haven’t met yet.” The meaning of this saying is true, and clear: your best donors are your current donors. They’re likely to give to you again and again, so long as you continue to cultivate them. No matter what school, church, or charity you are fundraising for, you should have a plan in place for cultivating current donors in addition to your work with prospects. 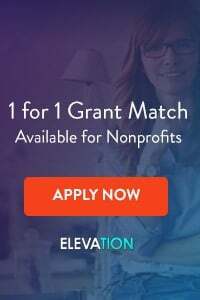 The goal of your cultivation system is twofold: first, to encourage your current donors to keep giving, and second, to encourage them to increase their gifts as time goes on, as well as to open up their own fundraising networks on your behalf. 1. Have a Plan – Does your non-profit have a written donor cultivation plan with timelines and concrete goals? If not, you should. Your donor cultivation plan may be its own document, or could be a part of your overall fundraising plan. 2. Find the Right Database – A good donor database is crucial in successful donor cultivation. Yours should be able to track donor contacts (or “touches”) as well as allow you to set reminders for future action. 3. Stay in Touch – The best way to make donors feel like a real part of your team is by staying in touch with them on a regular basis. Remember, most communications should not be asks – keep your donors updated and excited about your organization so that when the time comes to make an ask, they are ready to give. 4. Use All Mediums – Unless your donor tells you otherwise, stay in touch with him or her through all available mediums: online and off, phone calls, events, emails, printed newsletters, annual appeals, social networking, and more. 5. But Don’t Overdo It! – Most donors dislike being bombarded by the charities they support, so make sure you’re not overdoing it with the newsletters and updates. 6. 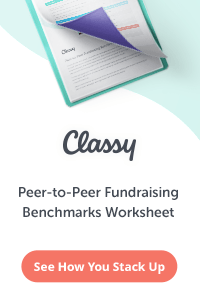 Have a Clearly Defined Path for Each Class of Donor – Your goal in working with donors should be to move them along a clearly defined path of asks, drawing them ever closer to your organization as they make larger and larger gifts. Stratify your donors by likely donation sizes (something as simple as Low, Mid, and High might work) and have a cultivation plan for each level of donor. 7. Start Donor Groups – Donor groups work for all levels of donors, and make your supporters feel like part of the team. Start some this year! 8. Tie in Volunteer Opportunities – One of the best ways to cultivate donors and connect them to your mission is by giving them opportunities to work alongside your staff in a volunteer capacity. Even if your non-profit doesn’t have “natural” volunteer opportunities because of the work you do, there’s always a way to get volunteers involved, even if it’s only with an envelope stuffing party for your next big event. 10. Be Donor-Centered – Remember, without your donors, your non-profit wouldn’t exist. Treat your donors like the integral part of your organization that they are, and they will stay loyal to you and your mission. The Development Director of my organization has decided that the primary activity of the Development staff is to call donors aged 75 to 100, thank them for a recent donation and spin the conversation into an agreement that they would like to be visited. The donors are members of the volunteer organization but almost 90% only give once every 2 or 3 years. The senior members/donors frequently don’t attend local meetings because of health or inability to drive, their friends from the organization are also dropping out from active participation. I find the members suspicious of the call–the call comes after years of silence from the organization, hard of hearing, reluctant to speak, unwilling to be visited. One call seems far too fast to move from first contact to possible visit. Is their a book, an article, a line of questions or topics I can read/use which will make it easier or possible to accomplish the objectives of this exercise? If you’re looking for a book about how to treat donors with respect and move them down the pipeline at the right speed, I’d suggest “Donor Centered Fundraising” by Penelope Burk. Here’s my suggestion: ask your Development Director to consider making this a two-year effort. Spend the first year re-engaging with your prospects. Letters, a non-ask event, a newsletter geared at older, less active members. Then, the second year can be spent on visits and more personal touches. Thanks for your e-mail. People who donate to donation drives like this generally do so because they know and care about the person doing the fundraising. 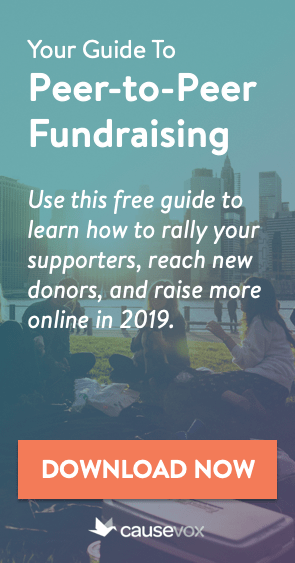 Thus, the best way to raise more money would be to reach out – personally, with a phone call or an in-person visit – to the people you and your family know (e.g. your other family members, your friends and coworkers, folks who go to your country club, church, or fraternal organizations, clients, vendors, stores you frequent, etc.) and ask them to make a donation to the campaign.